While they can’t harm you, fungus gnats and fruit flies are incredibly annoying. The mere presence of these tiny flying insects in your office can leave you feeling a bit twitchy. If you don’t quickly take care of these small flies, you will find yourself dealing with a bigger gnat problem than you expected. 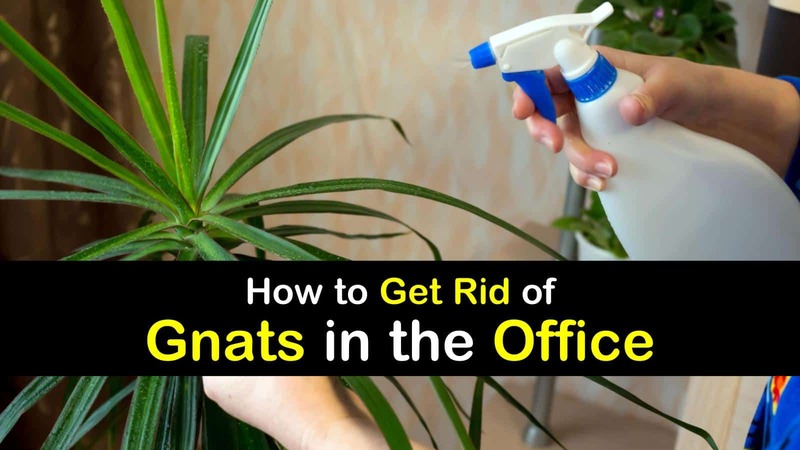 The good news is, there are several clever tactics that you can utilize for how to get rid of gnats in the office. These simple methods take nothing more than a few everyday ingredients that you probably already have on hand. What Causes Gnats Around the Office? An infestation of gnats in office buildings and at home are typically caused by fungus gnats. The moist potting soil of your potted plants and the discarded peels and cores of overripe fruits in your trash can will attract these pesky insects. The best pest control method for dealing with a gnat infestation is to take away their habitat. Gnats have a fairly short life cycle but can multiply exponentially if left untreated. A female adult gnat can lay up to 300 eggs during their short life. When the gnat eggs hatch, the fungus gnat larvae will eat the decaying organic matter found in overwatered indoor plants and garbage cans, which is their primary food source. If you have a broken sewer line inside or outside the house, then you may be dealing with phorid flies coming out of your floor drains. Whatever kind of house fly that you are dealing with, there are some simple ways to get rid of them. The best gnat repellent is prevention. How Can I Get Rid of Gnats in the Office? If you have office plants, this may be the source of your gnat infestation. The easiest pest management solution is to make sure you aren’t overwatering your plants. Overwatering your plants can result in root, stem, and crown rot, which is the perfect food source for fungus gnat larvae to thrive. If you are still having problems with gnats in your office, try setting out an apple cider vinegar, fruit fly trap to kill the adult gnats that are buzzing around your home. Just fill a small jar with some apple cider vinegar and a few drops of dish soap. Place some plastic wrap around the opening, and secure it with a rubber band. Use a toothpick to pierce several small holes in the top of the plastic wrap, providing a way for the gnats to enter the jar, but keeping them from being able to exit. The dish soap will cover the legs and wings of the adult gnats, leaving them unable to fly, which will kill gnats by drowning them. Are There Any Plants That Will Repel Gnats? There are several fruit fly repellent plants that you can place around your office to repel gnats and fruit flies. The fly repelling qualities of these plants are heightened with the foliage is disturbed, allowing the essential oils to release. You can also use the dried version of these plants to repel gnats from your office. Using plants to repel flies and other flying insects like gnats has long been used as an alternative to toxic chemicals. Gnats are incredibly annoying, especially when they are flying around your office while you are trying to work. Taking care of them when you notice the first sign of gnats will keep a few of these flying insects from turning into an infestation. 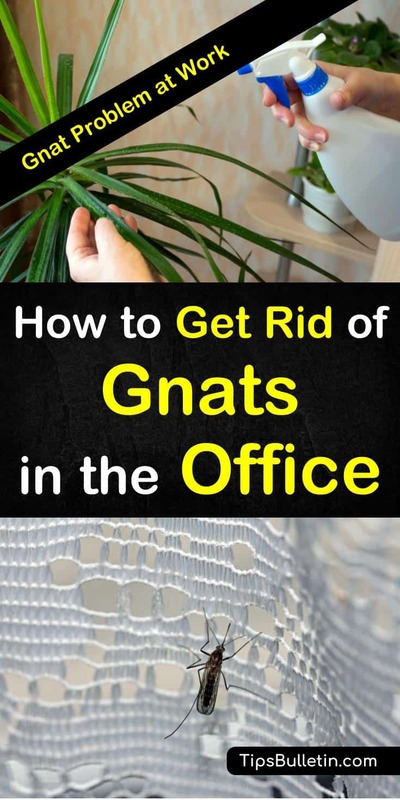 We hope you enjoyed learning how to get rid of gnats in the office. If you found this article useful, please feel free to share it with your family and friends.